I think the servers stay up until the end of the year. Which is why I'm trying to get the multiplayer unlocks done as soon as possible. Sooner would be better, since the above is only an estimate, they could go down earlier then stated. Anyone else getting a funny vibe from all of this? Ever since declaring ending Disney Infinity they've been releasing information on what they had planned to a scale that comes across as quite sadistic even if some of their plans wasn't thought out properly. I say thought out properly because start of August this year they're releasing the Xbox One S and I can't help remembering it was because of Disney Infinity was why I bought my Xbox 360 in the first place! So in the extreme unlikely case what are they going to release around the same time as their new Xbox One S to promote it in a way that exceeds what Disney Infinity did when it was announced? I see it as different, I see it as the people who made the game wanting to show off their hard work that otherwise wouldn't be seen. I myself are more then a little suspicious. If they knew the end of your job contract was coming, wouldn't you immediately stop working on all current projects and start finding your next place of employment? Assuming they weren't transferred inhouse to another division of Disney Interactive that is. I mean, it doesn't make sense to keep designing figures etc, doing the game coding and whatever else when you know the products you are working on aren't going to be released. I'm half expecting this to be a publicity stunt, they're getting the fans more invested by pretending the game is going to close down, then do a last minute announcement "due to fan support, we've decided not to end the game". I have heard of this happening once before and it was dishonesty from the Board of Directors. They allowed the Developers to keep working on their projects so they thought the game was going to continue. Then gave a last minute notice, you're all fired, when we close the game, you're out of a job. If that occurred here, maybe the termination notice was so short notice they were literally working on the next release when they got the news. Out of curiosity, what does Disney Interactive do these days if they're not making games anymore? All I keep getting emails about is mobile games. And they're not that interesting to play. I'm not a big Disney mobile gamer, but it seems all their games are just variations on one premise. The Maleficient movie mobile game just looked like a reskin of the Frozen mobile game. 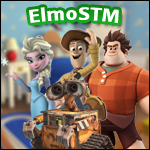 The Emoji Blitz mobile game that was just released is a simplified version of the Frozen mobile game. This is not a publicity stunt. There is no pretending. Avalanche closed down. Most people working on the game did not know they were being laid off until the day the announcement came. Also, the artists had been working on upcoming figures for months. That is why concept art is coming out in to public view. who owns the actual DATA for the figures and stuff for the game, and what happens to it? do we simply lose it? Ooh, legal question, let's jump into the mud and get sticky. 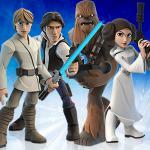 Disney owns the data for the figures and the game. But we have the data, as it is stored on the console you own. Savegame files etc, the RFID chip in the base of the figure, unlock discs or crystal playset are also your virtual and physical property. What we lose access to are the online server functions, multiplayer, cloud uploading of toy boxes and anything else related when the game shuts down. 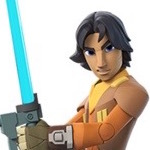 So I'd say anything you have saved locally, you get to keep, but anything uploaded to Disney Infinity's servers, all that is deleted/made unavailable. Disclaimer: I am not a tech expert, just going on my general knowledge. Yeah, Avalanche is empty now... Not a publicity stunt. The reason we have stuff being "leaked" isn't that they continued working on the game after the shutdown, but this is stuff they had been working on until the cancellation. My understanding is that all work on the game stopped the day after they were informed the game was cancelled. The employees had 30+ days to work on their portfolios and seek new employment. That meant they were able to take some of the digital property they were working on at the time (hence the "leaks". I have also heard Disney provided a very generous severance package, and put together a job fair. We all hate that Disney Infinity and Avalanche employees are scattering to other companies, but it does sound like Disney took care of them (at least by industry standards). I guess the silver lining is that other parts of the industry are gaining very talented and passionate individuals who will add to their products.